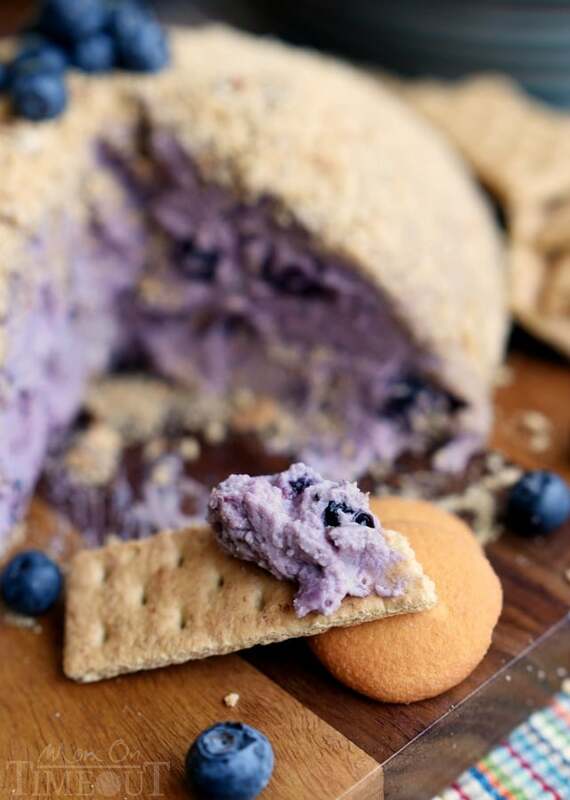 This Blueberry Pie Cheese Ball tastes just like a blueberry cheesecake and is the perfect appetizer or dessert for your next get together! Easy and delicious! I’m a big fan of cheese balls. Sweet or savory, they always bring a lot of fun to any party. Today I’m sharing a new favorite that will have your guests ooohing and aaahing all over the place. 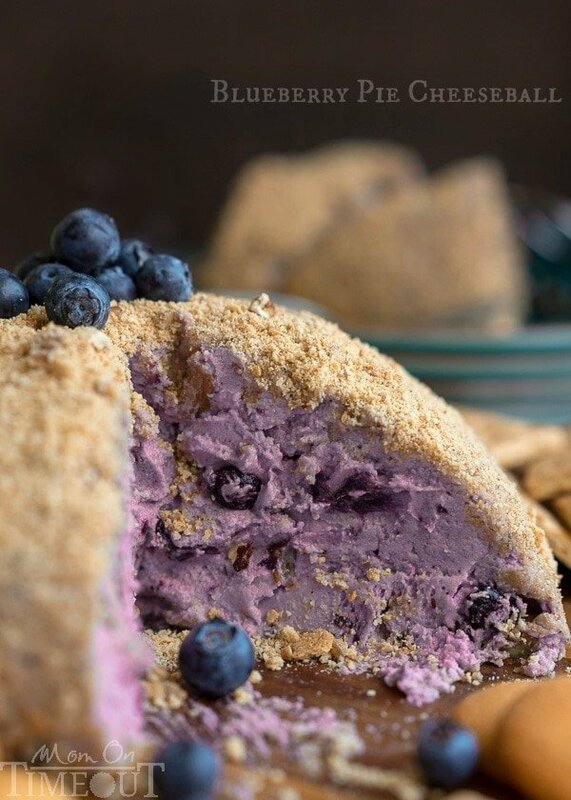 I’m calling this a Blueberry Pie Cheese Ball but what it actually tastes like is a blueberry cheesecake, at least, what I assume a blueberry cheesecake would taste like 🙂 I used a can of blueberry pie filing to get that glorious purple color on the inside of the cheeseball and then covered it with a graham cracker “crust” – hence the “pie” portion. The funny thing about that purple color is, I made this for a virtual baby shower we’re throwing today for Ashton (Something Swanky) and she’s having a BOY! Blueberries seemed like the right way to go, ya know, cause they’re blue. Obvi. But they’re also kinda purple too. 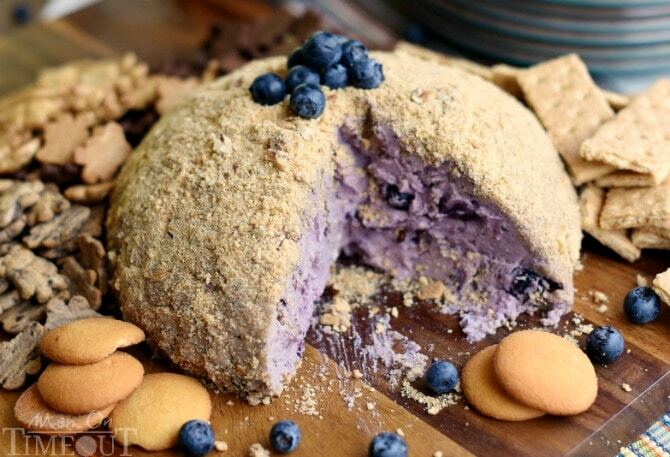 I threw a couple more blueberries on top to really make it seem more boyish – works, right? Okay so this cheeseball is perfect for any party – baby shower or not. It’s absolutely addicting and feeds a crowd. In fact, you could make two smaller cheeseballs or half the recipe if you wanted to. 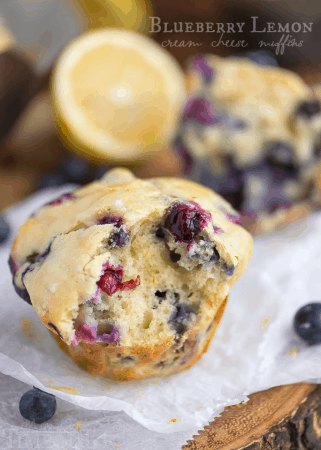 It’s so simple to make and is one of those awesome recipes that can be made ahead of time. 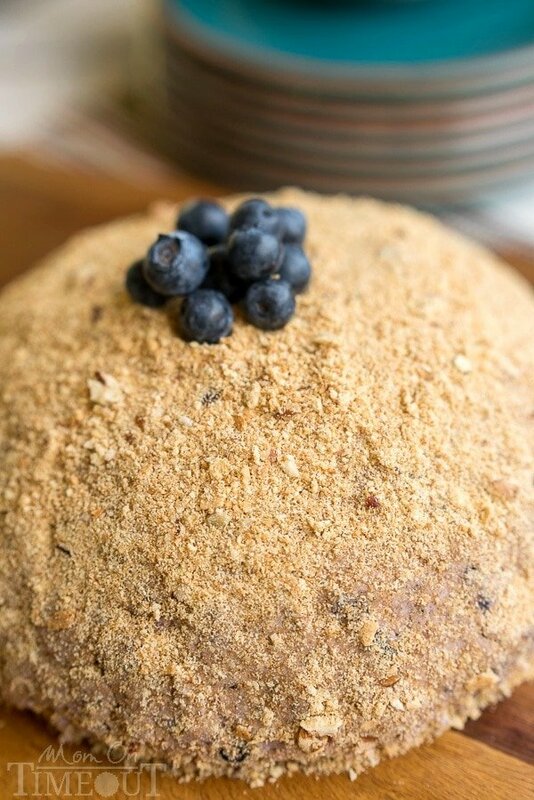 I covered the cheeseball in a mixture of graham cracker crumbs and finely chopped pecans but you could omit the pecans if you’d like or sub in your favorite nut. Having two little boys myself, I know that Ashton is in for the ride of her life. Boys are the BEST and do their absolute best to keep you on your toes 24 hours a day. I wouldn’t trade it for anything. I can’t wait to meet the little guy and I just know he’s going to be the perfect addition to their adorable family – congratulations Ashton! Gradually beat in sugars and vanilla extract. 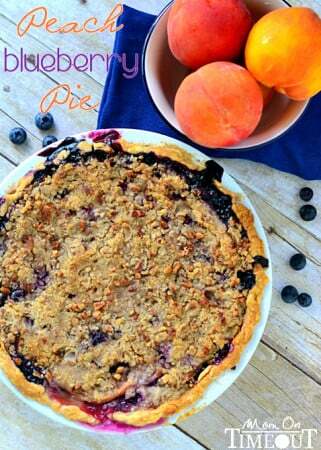 Stir in pecans and blueberry pie filling until completely combined. Line a bowl with plastic wrap and fill with mixture. Make sure the top is covered securely. Combine the graham cracker crumbs and chopped pecans in a small bowl and set aside. 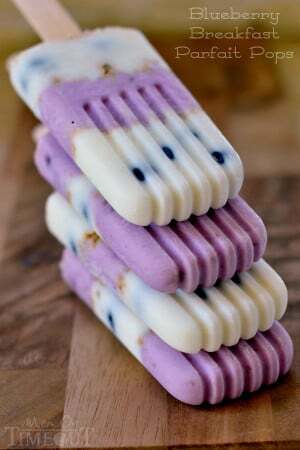 Peel off the plastic wrap on the top and invert onto a serving board or cake stand. Coat the cheeseball with the graham cracker crumb mixture, patting gently to secure. 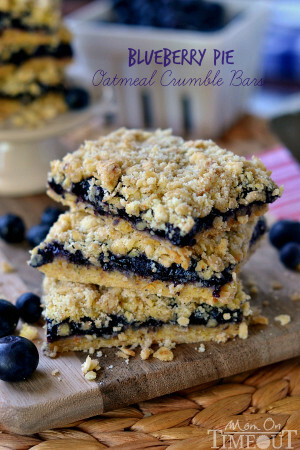 More blueberry recipes to try! Suggestions on how I might use fresh blueberries instead of canned?